Well, at long last, we have finally managed to finish working on the garden of the old Manor House and, I must say, we are quite pleased with the result. 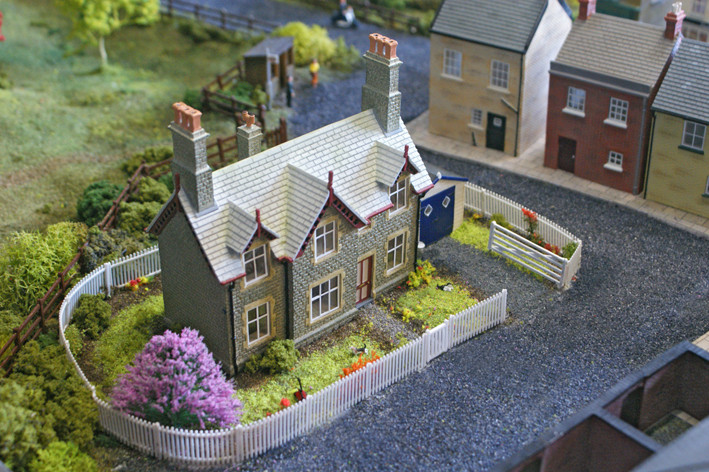 The house is actually Bachmann's Market Hampton Station Building from their Scenecraft range (44-012) and was purchased some time ago for possible use at Davemoor station. However, it never really fitted in and, anyway, Davemoor is due for a major rework come the new year so, instead, we decided to use the house somewhere in Petersfield. Now I think it makes quite a pleasant feature within the town area backing on, as it does, to the hill beyond. Squeezed in beside the house is a Hornby Skaledale Wooden Garage (R8552) which, at first, we thought might be a little too big for the space available but, slowly, we are coming round to liking it. The garden still needs the addition of some more flowers to bring it a bit more colour and the garage will also have a suitable car parked on the drive. 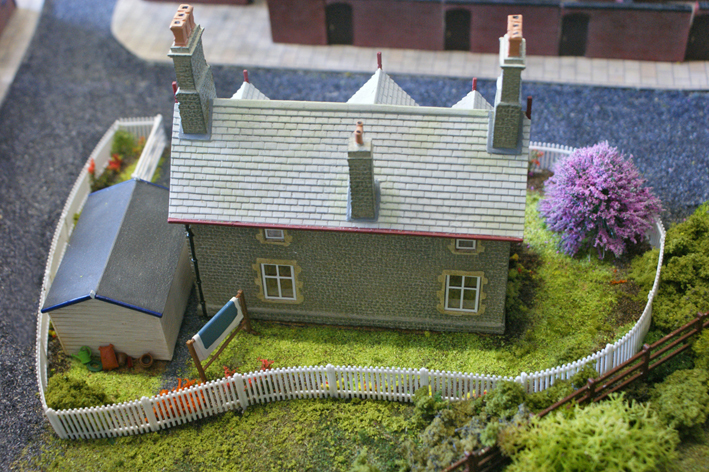 For the most part, though, work on the house and garden is complete and we have now moved on to the other side of the stream - of which more next time.